Everyone is behind size zero. In the world of gadgets too this competition is going on, the competition to launch the slimmest device ever. The floors of CES 2016 were no different regarding this. The major players of the electronic world were competing each other in launching the thinnest device. 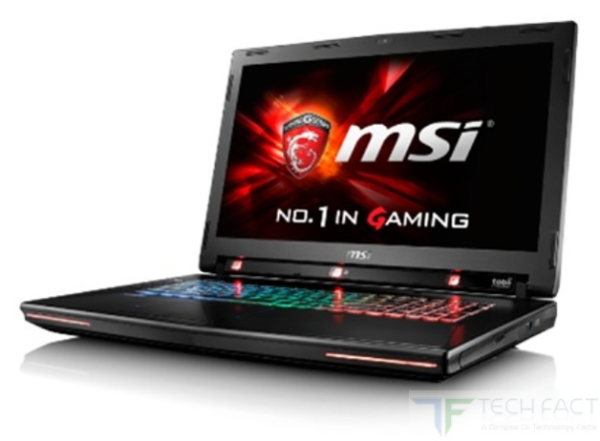 To this parlor MSI come up with its latest GS72 Stealth Pro laptop which is a gaming laptop with its sleek and light design. Let us find out what MSI has hidden in this latest laptop of theirs for us. When compared to its predecessor the exterior hasn’t changed much. 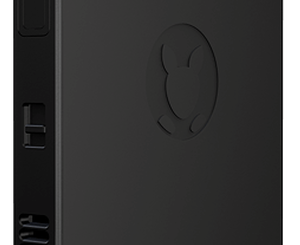 The outer case is carved out of brushed black aluminium which is soft to touch. This case is marked by red backlit MSI logo to the top of the device.This17.8 inched system which is packed with a thickness of just 0.78 inches. This makes the device fit for competition with Aorus X7 Pro Sync with a measurement of 16.8*12*0.9 inches and Razer Blade Pro with a measurement of 16.8*10.9*0.88 inches. This laptop is loaded with a display that features 4K technology. Its resolution measured to be 3840*2160 pixels. The viewing angles were designed wide so as to deliver better viewing experience for two or three people together. GS72 Stealth Pro is loaded with twin speakers of Dynaudio which is placed under the speaker grill to the top of the keyboard. This extensive speaker is supported by sub-woofer for better bass experience. Apart from the above, the sound system has been supported by the Nahimic Audio Software which delivers a balanced sound for the laptop. This software is packed with various profiles that supporting Shooter, RPG, Strategy and Gaming. Nahimic is also loaded with latest HD Audio Recorder feature which is specially focused on gamers. They remove the white noise among the speakers and deliver a better and normal sound. Gamers who would like to have some excitement during live streaming can select these pre-recorded tracks. This software also helps you to record and play your own audio tracks. Another unique feature Nahimic is the Sound Tracker, which shows a visual signal towards the loudest noise and is helpful in avoiding such noise or to find the origin of such noise. GS72 Stealth Pro is packed with full size island style SteelSeries keyboard. The keyboard is loaded with anti-ghosting ability. The keyboard comes with backlit feature and can be customized with the help of SteelSeries Engine Software. This software can be used to customize macros. This keyboard is also expected to deliver a better typing experience for the users just like that of the previous versions. Under the hoods, GS72 Stealth Pro is powered by Intel Core i7 6700HQ processor. This processor can deliver a clocking speed from 2.6GHz to 3.5GHz. This processor is loaded with a RAM of 16GB. The storage is granted by PCIe SSD with 128GB along with 1TB hard drive with 7200-rpm. This processor is also supported by Nvidia GeForce GTX 970 GPU with a VRAM of 3GB. This GPU ensures that your system is not hanged while playing high-end games.